Gosafe — GPS fleet management products provider. 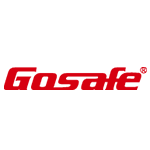 GoSafe is an American GPS fleet management products and services provider. The company was established in 1999 in Gloucester. The products are exported to American, European and Middle Eastern market. Totally, Gosafe is presented in more than 100 countries worldwide. The company specializes in the development of fleet management systems and equipment manufacture. GoSafe also implements various location technologies – GPS/GIS/Telemetry/Telematics. The chart below shows the changes within the last 30 days in the number units of Gosafe devices type are connected to Wialon Data Center.